I hope you're all having a relaxing and enjoyable holiday season. But unlike other blogs, I don't want to harp on about 'what I got' or 'what I wore', instead I want to share with you a classic- very lady-like- outfit perfect for any season. Now, every girl needs an LBD- and not one that can only be worn to the sleaziest of nightclubs. It will become your closet saviour every time you ask 'what should I wear'. It should be comfortable, modest (enough), have a classic (enough) style and a flattering cut on you. 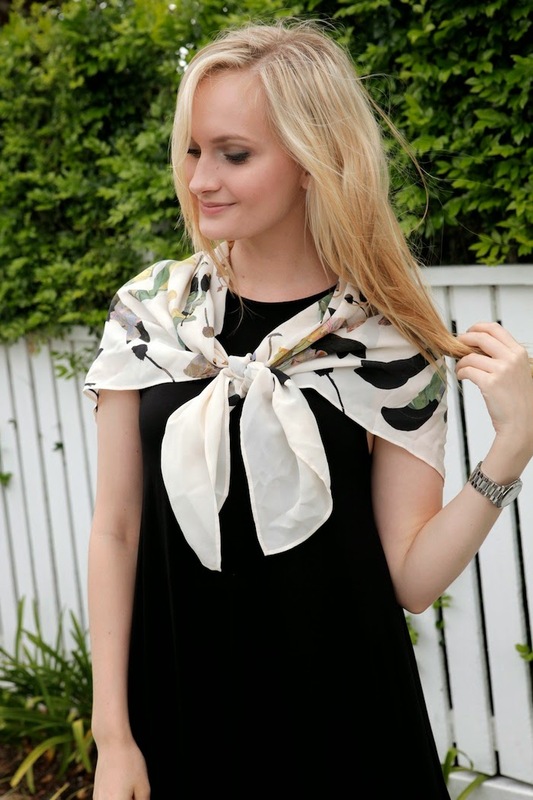 And while the LBD is great by itself, it serves as the perfect backdrop for feature pieces like this scarf. 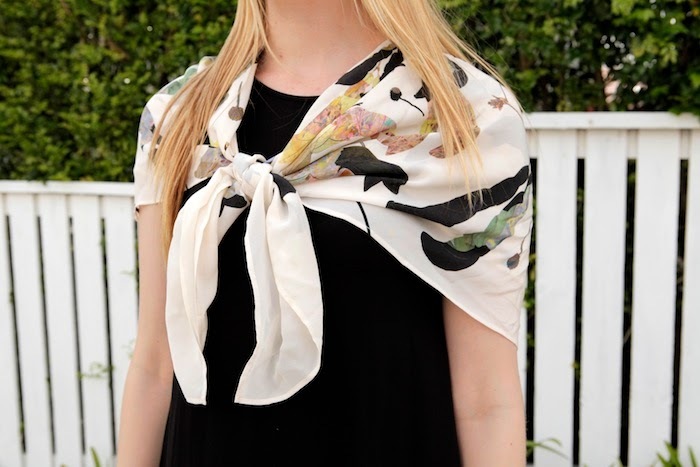 (Side note: Remember that a simple square scarf can be worn multiple ways, so why not try something different like this over the shoulders, or- if you're fashion brave- turn it into a turban).